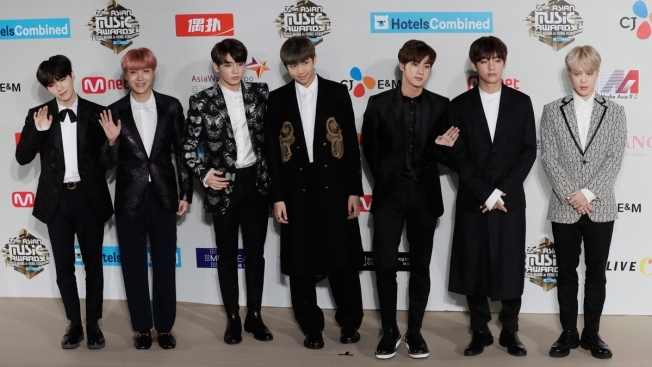 "We will carefully examine and review not only these issues but all activities involving Big Hit and our artists based on a firm understanding of diverse social, historical and cultural considerations"
In this Dec. 2, 2016, file photo, members of South Korean K-Pop music band BTS pose for photos on the red carpet of the 2016 Mnet Asian Music Awards (MAMA) in Hong Kong. The agency for the South Korean band BTS has apologized for a member wearing a T-shirt depicting the explosion of an atomic bomb. The Big Hit Entertainment said in a statement Wednesday, Nov. 14, 2018, it was offering "our sincere apologies" for "failing to take the precautions that could have prevented the wearing of such clothing by our artist." The agency for K-pop superstars BTS apologized Wednesday for members wearing a T-shirt depicting the explosion of an atomic bomb and a hat with a Nazi emblem. Japanese TV broadcasters recently canceled or stopped discussing possible appearances by the band in that country after images spread on social media of a singer wearing the shirt. The South Korean boy band ran into more troubles after news broke that another member wore a hat featuring a Nazi symbol in a magazine photo book and band members flew flags with what appeared to be Nazi swastikas during a concert in the past. "We would like to again offer our sincerest apologies to anyone who has suffered pain, distress and discomfort due to our shortcomings," the band's agency, Big Hit Entertainment, said in a statement. 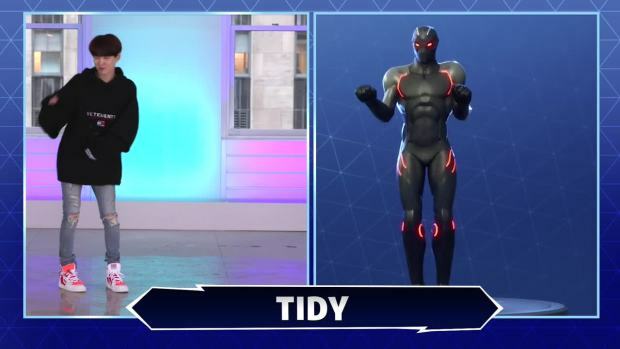 BTS and Jimmy Fallon challenge themselves to mimic the dance moves of “Fortnite" characters in real life. Before its division into North and South Korea after the liberation, the Korean Peninsula was colonized by Japan in 1910-1945. Many in both Koreas still harbor strong resentment of the Japanese colonial masters. But in South Korea, it's extremely rare for anyone to publicly celebrate the atomic bombings. The bombings killed more than 200,000 people in Japan. Many Koreans were living in Japan at the time, including laborers who were forcibly mobilized by the Japanese, and estimates of the number of Koreans killed in the bombings range from 20,000 to 50,000. South Korean politicians criticized the Japanese broadcasters' decision to cancel BTS appearances, accusing Japan of harboring "self-centered views on history" and letting politics interfere with cultural exchanges. It doesn't appear the T-shirt controversy is seriously affecting the band's huge popularity in Japan, with 50,000 people reportedly filling up the Tokyo Dome on Wednesday evening to watch them perform. The BTS agency said the A-bomb shirt's wearing was "in no way intentional" and wasn't designed to "injure or make light of those affected by the use of atomic weapons." 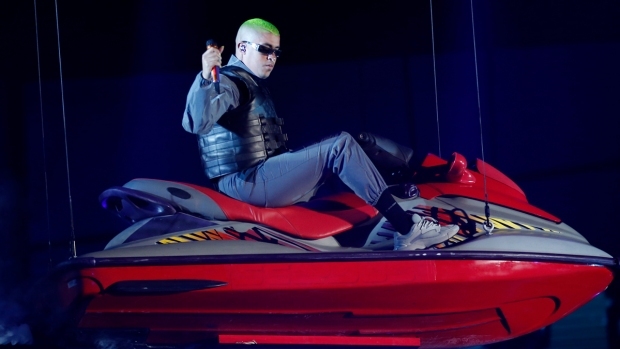 However, it said it still apologizes for "failing to take the precautions that could have prevented the wearing of such clothing by our artist." In regard to the hat, it said all apparel and accessories used for the photo book were provided by a media company involved in its publication. It said the flags were intended to symbolize South Korea's restrictively uniform and authoritarian educational systems, not Nazism. "We will carefully examine and review not only these issues but all activities involving Big Hit and our artists based on a firm understanding of diverse social, historical and cultural considerations to ensure that we never cause any injury, pain or distress to anyone," the agency said. The seven members of the band, which has a worldwide following, in May became the first South Korean artists to top the Billboard 200 albums chart with "Love Yourself: Tear." The band began a Japan tour earlier this week.